Parents use their unique 4 digit code to sign their children in and out on the facility's kiosk. 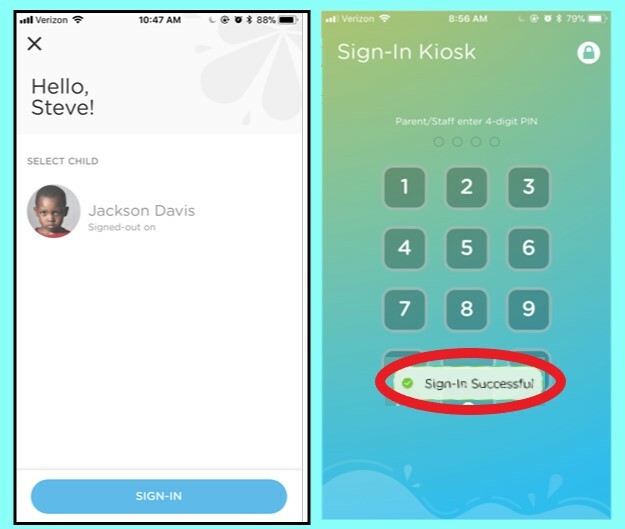 Easily sign your child in or out by entering your unique 4 digit pin on your center/school's device. 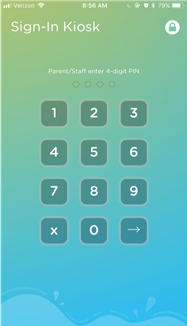 When you sign into your parent app, you will have access to your unique 4-digit Parent pincode in the top right corner of your home screen. You can also find it in the web version to the right, just under your current balance. 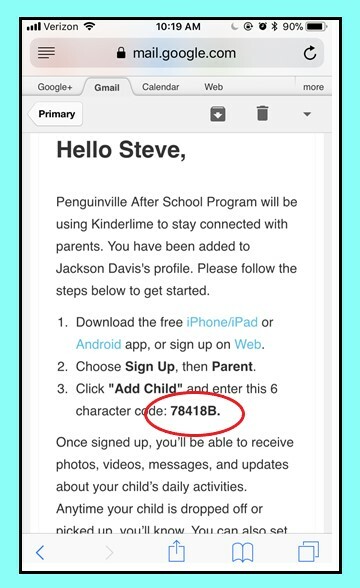 Here, you will enter your 4-digit pin, tap the image of your child and click "Sign-In". Please make sure you see the verification (circled in red below) before walking away from the device. *If your school has signatures enabled you will sign your name directly on the screen after clicking Sign-In. 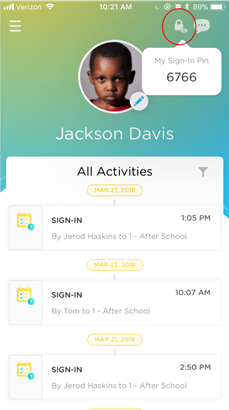 You will receive notifications anytime your child is signed in or out. Because every caretaker is issued a unique 4-digit code, you will know who signs your child in or out, which classroom, and the time. You can manage your notifications under Settings. 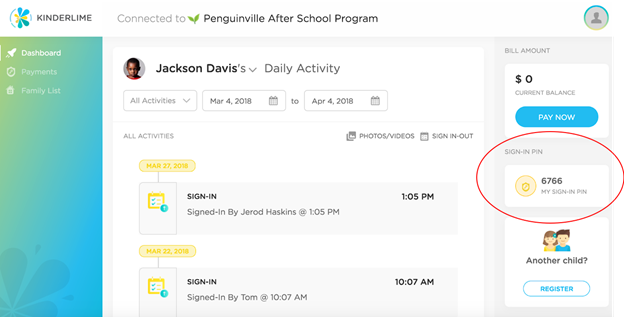 Check out these help articles for more information on messaging your child's teacher, billing, or viewing daily activities!